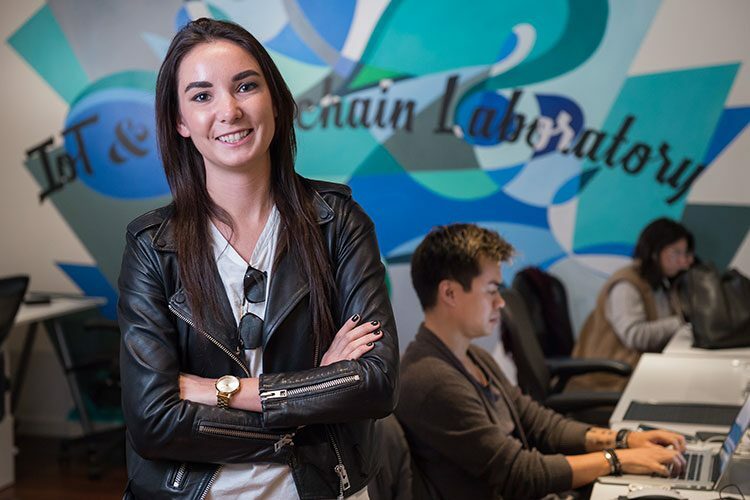 Although their San Francisco–based company’s original goal was to enable clients to fight counterfeiting by verifying a product’s identity, it didn’t take Radocchia and her colleagues long to realize “the power of blockchain is so much bigger,” she said. As a Colgate student, she customized her majors — English and anthropology — to explore linguistics, symbolic systems, and virtual online communities through independent study. 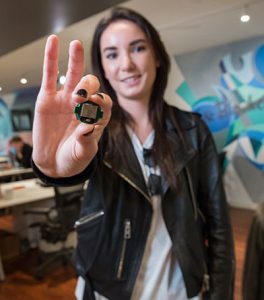 By senior year, she had launched a personal shopper start-up called Shop with Stella, which she transformed into a fashion-focused inventory tracking and universal shopping-cart system called Stunable.